The second annual Vermont 10 Miler is coming to Stowe this weekend. 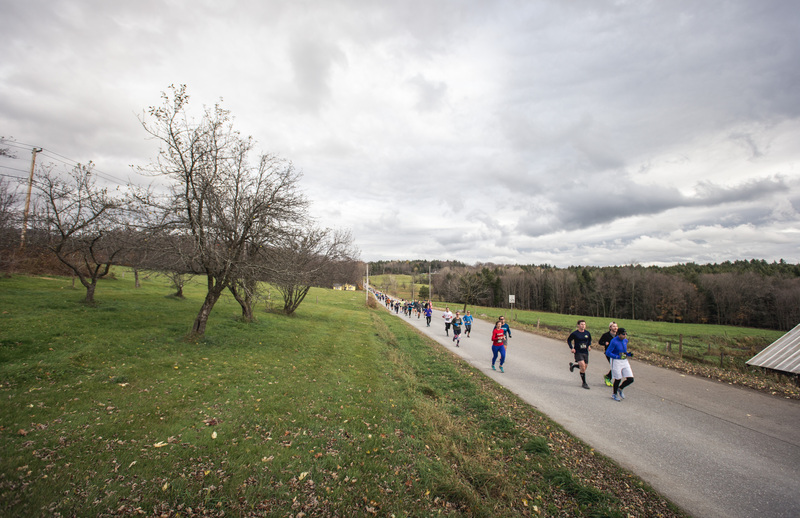 On Sunday, 1,800 runners will follow a challenging but beautiful course, starting and finishing off Weeks Hill Road at the Mayo Farm Event Fields. The race, which sold out in 2017, is nearly sold out for 2018. The event is produced by Gray Matter Marketing, which also hosts the Craft Brew Races Stowe 5K and Beer Festival in May. The Vermont 10 Miler will start at the Mayo Farm Event Fields, from which runners will turn left on to West Hill Road, continuing on to Weeks Hill Road until it turns into Edson Hill Road. At Mile 7, the course joins the Stowe Recreation Path for the final 3 miles of pedestrian-only traffic, crossing the West Branch River and finally returning to Mayo Farm for the finish. Spectators wishing to watch the race are welcome to do so along the course, but for safety, drivers are advised to avoid the actual course roads. The start and finish areas are open to the public. Other spectator spots include the intersection of Weeks Hill Road and Perry Hill Road, as well as Thompson Park and Chase Park along the Stowe Recreation Path. Here are our spectator tips! After the event, runners and their families and friends are invited to a finish line celebration, featuring craft beer from Ragged Island Brewing Company and cider from Stowe Cider. For runners over 21, the first beverage is included in their ticket. The Stowe Land Trust is still looking for volunteers for Sunday morning from 8 to 10 AM at registration and bib pick up. Volunteers will also receive a shirt as a thank you for supporting the Stowe Land Trust and the Vermont 10 Miler. Those wishing to volunteer can visit stowelandtrust.org to sign up. Race finishers will receive a medal and a custom-designed long-sleeve event t-shirt. Awards will be given for the top three male and female finishers, top finishers in age groups, and the largest and fastest teams. The Vermont 10 Miler is also the third of three events in the New England 10 Miler Series, which also includes an April event in Portland, Maine and a June event in Newport, Rhode Island. Runners who complete all three races in a calendar year receive an additional, commemorative finishers medal and shirt in Stowe. The series, as well as the Vermont 10 Miler, will both be returning in 2019. Locals can expect minor traffic delays along the course, and Stowe Police will be on site to manage traffic and keep runners safe. For more information, visit www.vermont10miler.com.